A luxurious floor mounted traditional radiator with a 6 bar insert and stylish ball joints from period bathroom specialists Old London, with its classic design this radiator would look great in any bathroom. 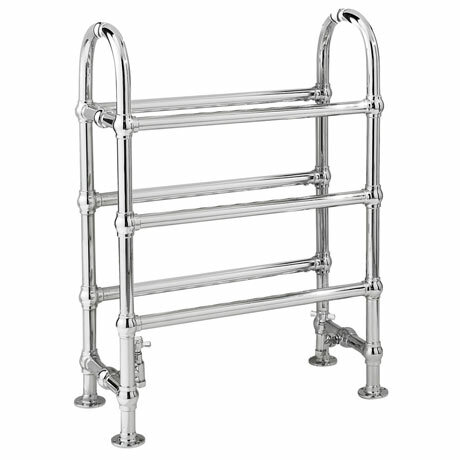 Manufactured to the highest standards and constructed from strong chrome plated durable steel. It delivers excellent heat and is ideal for warming towels when in the bath or shower.